Cumbria Tourism is inviting businesses in the north of the county to get involved in a new project to help them access three key international travel markets. 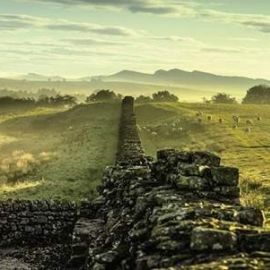 Two National Trails – Hadrian’s Wall and the Pennine Way – will both be an integral part of ‘England’s Great Walking Trails’. Funded through Visit England’s £40 million Discover England Fund, this exciting new initiative is aimed at promoting seven of England’s National Trails to walkers from Germany, the Netherlands and the USA. As Cumbria’s official Destination Management Organisation, Cumbria Tourism has teamed up with Marketing Peak District and Derbyshire to ensure the county receives maximum exposure from this showpiece national project. Cumbria Tourism will also be working in conjunction with Northumberland Tourism on training and business support in the coming months. Works gets underway with a series of free workshops in Alston, Appleby and Carlisle in October and November – aimed at businesses close to either the Hadrian’s Wall National Trail or the northern part of the Pennine Way National Trail. The project will help develop walking itineraries that take visitors off the beaten track, joining up with tour operators and UK specialist walking holiday companies. But the walk is only half of the experience, as the itineraries will highlight places to visit, eat, drink and stay along the way. Sales and Marketing Manager at Cumbria Tourism, Sue Clarke, says, “This is a fantastic opportunity for tourism business not only to access free training to ensure they’re ready to welcome international visitors, but also to work with overseas tour operators to increase sales by looking at pricing, lead-in times and booking expectations.